Soft-top versions of hard-charging sports cars are often viewed as a more mellow option – thanks to less stiffness in the chassis and more weight from the folding roof mechanism. 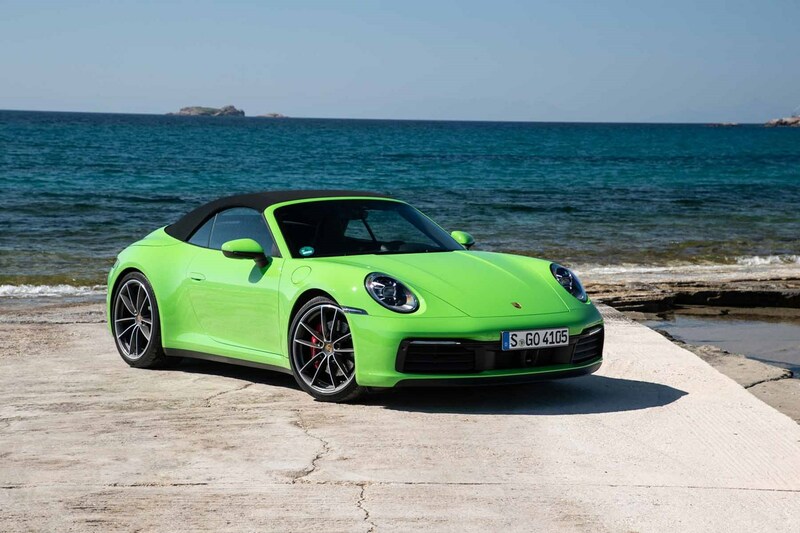 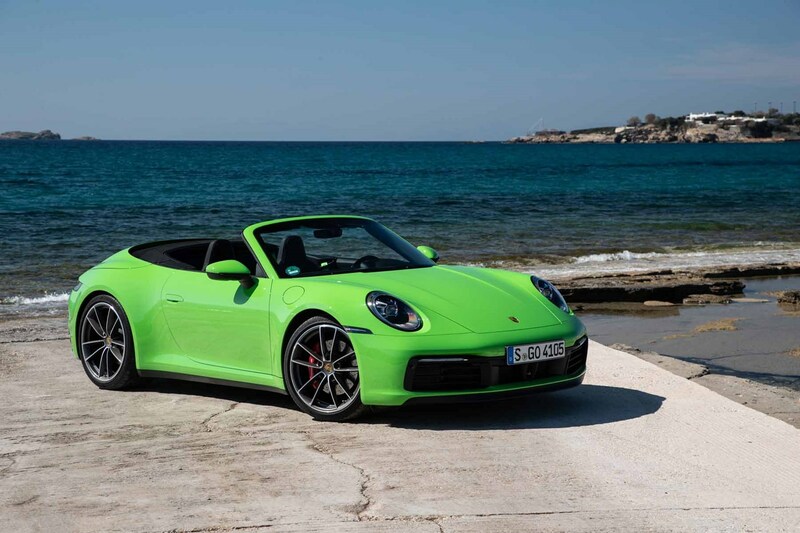 This generation of Porsche 911 Cabriolet sets out to challenge that preconception with an open-air car that asks very little in terms of compromise – either in terms of performance or refinement. 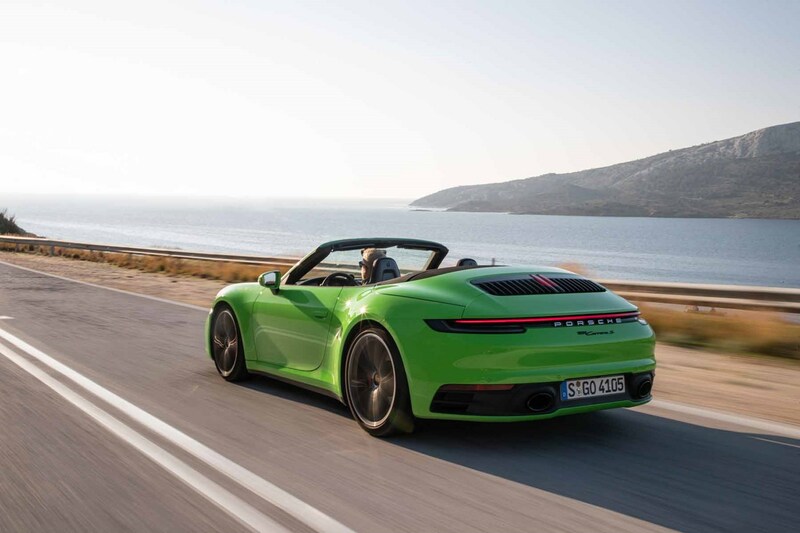 You can see this from the very first glance; the tautly stretched fabric roof follows the silhouette of the hardtop coupe much more convincingly than rivals like the Audi R8 Spyder, McLaren 570S Spider and even Jaguar F-Type Convertible. 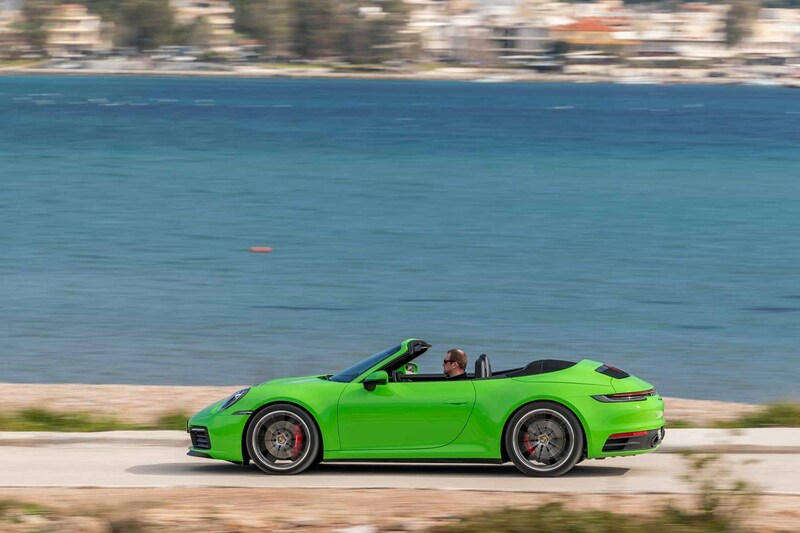 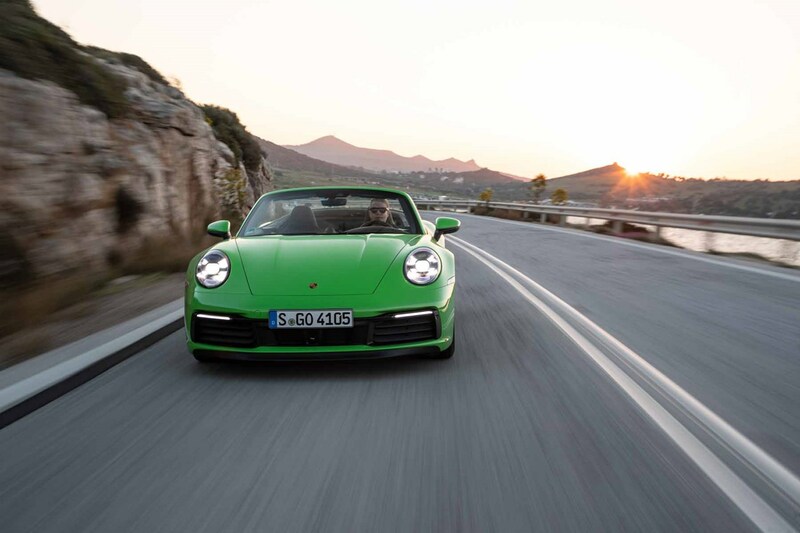 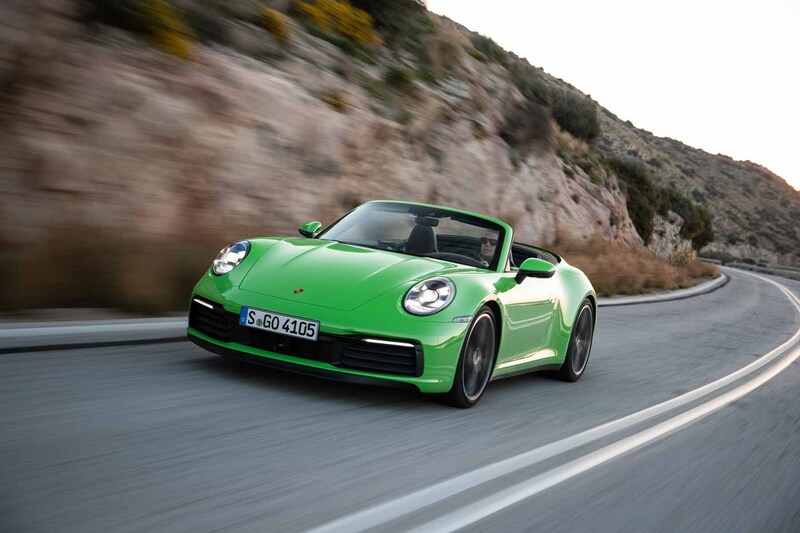 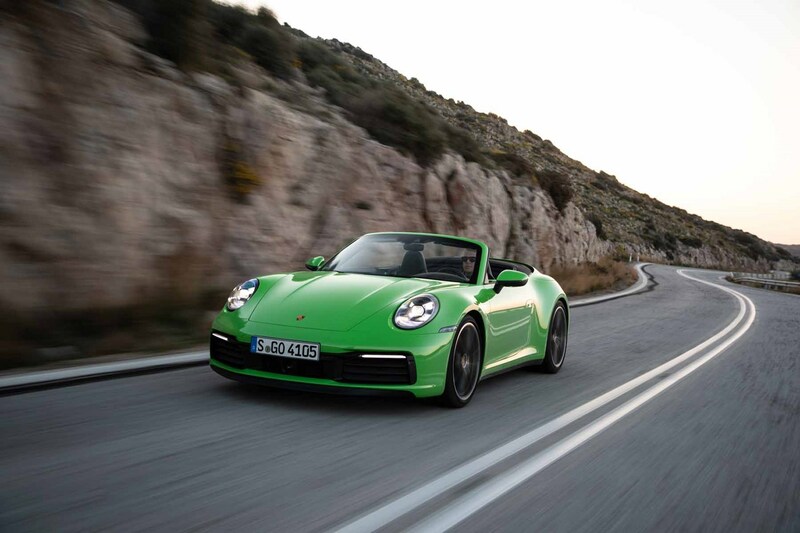 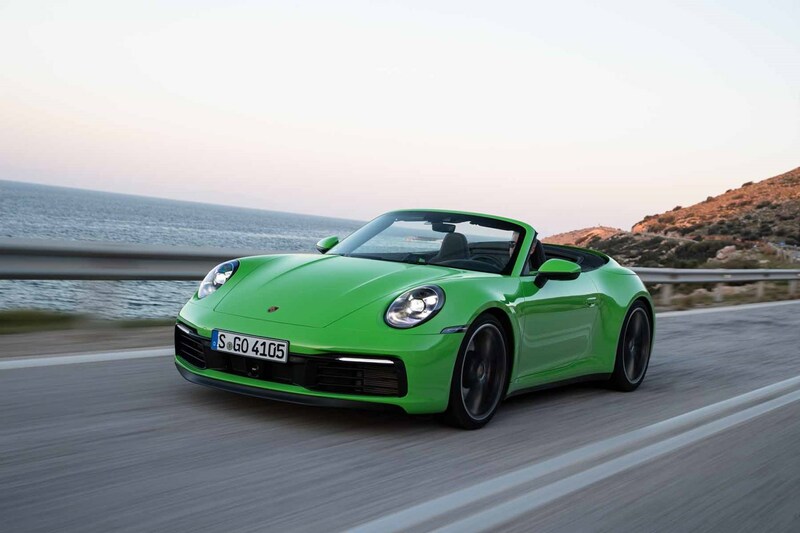 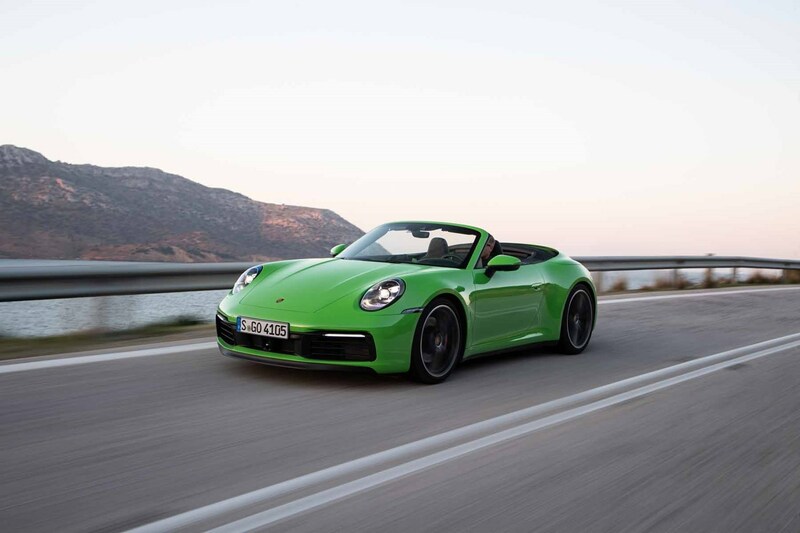 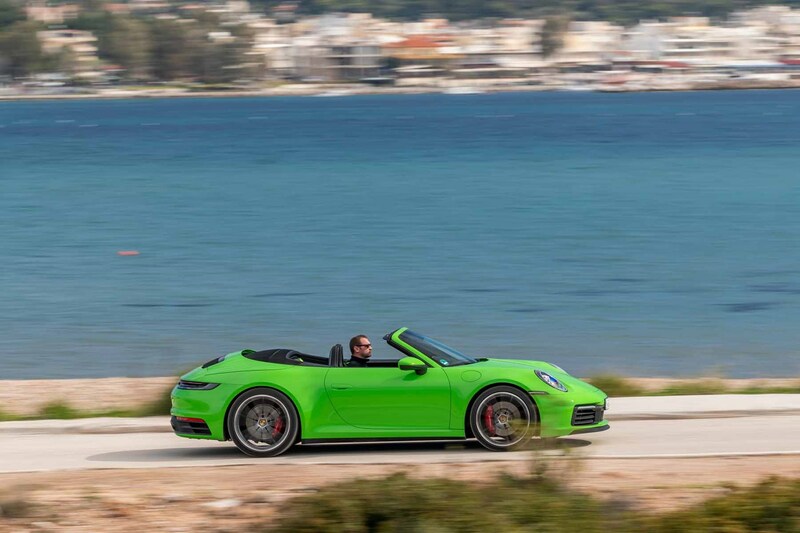 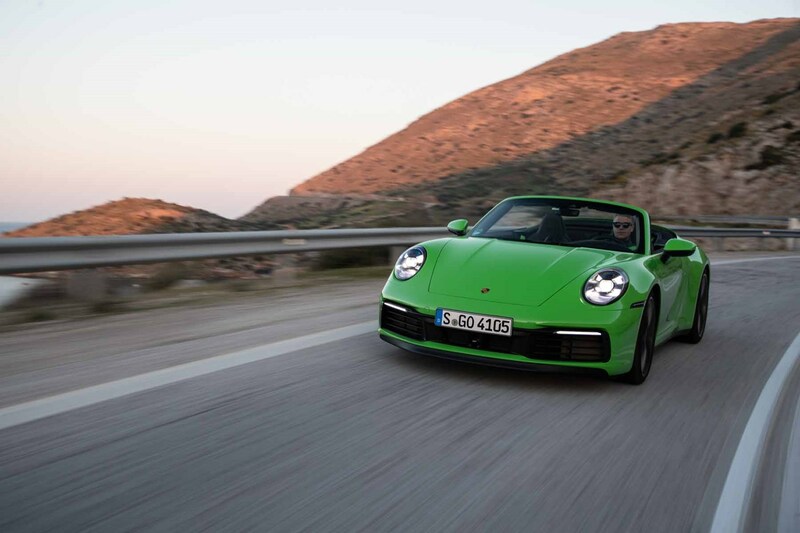 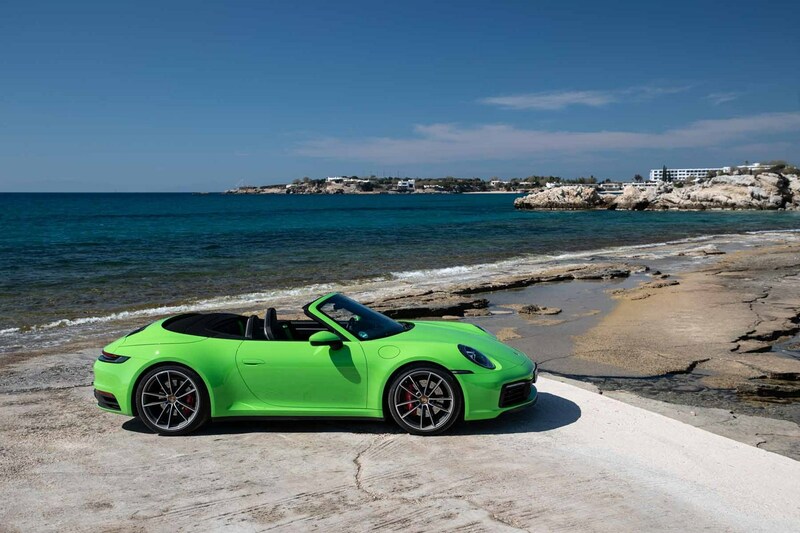 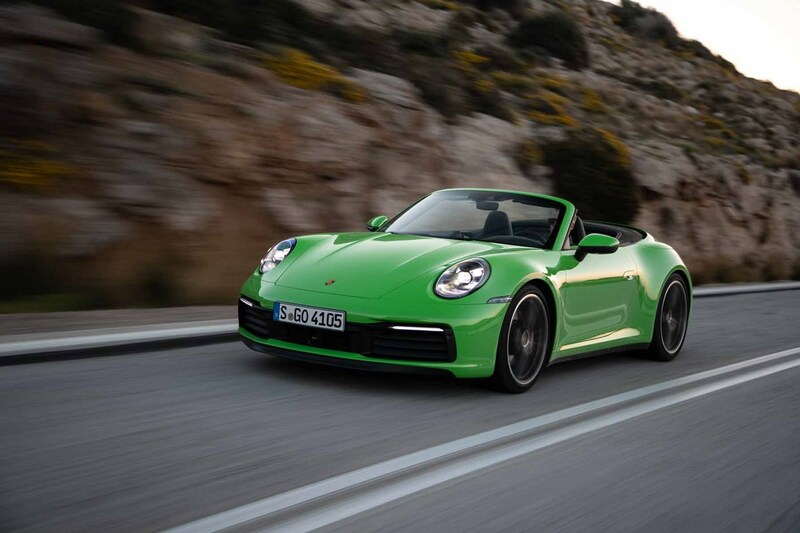 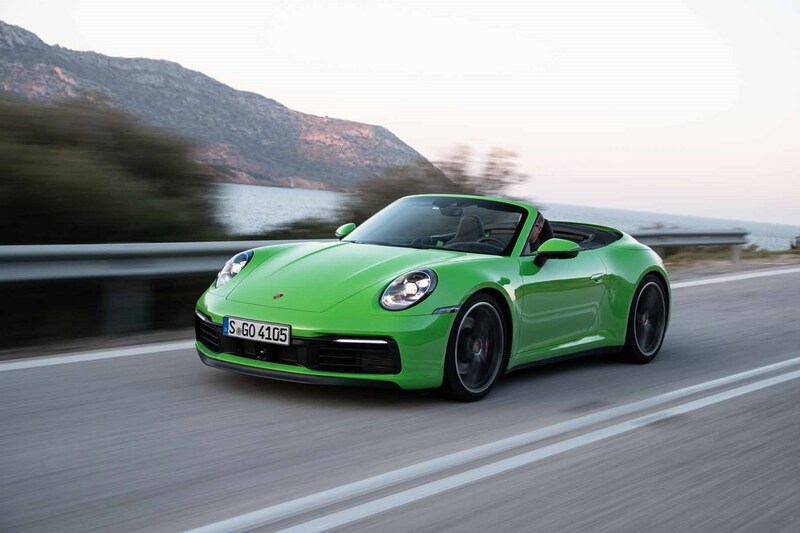 What’s new for the Porsche 911 Cabriolet? 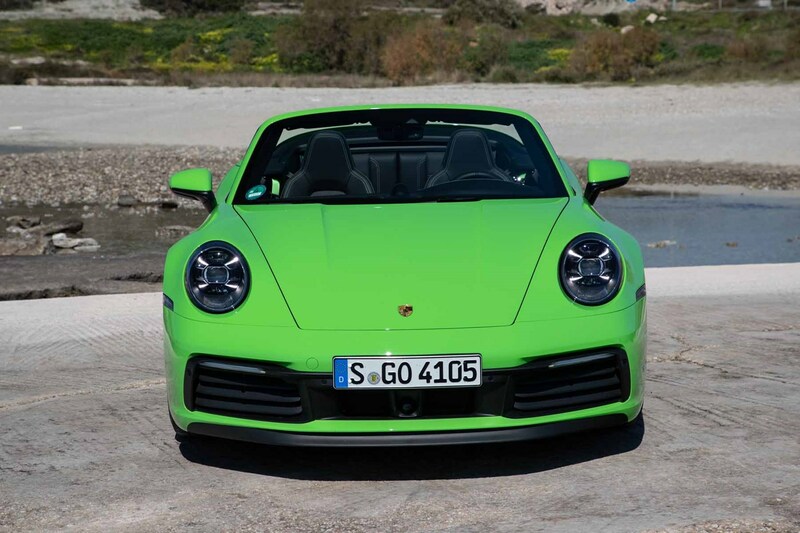 As well as that improved roof there are pop-out door handles, plus wheels that are larger at the back than the front for extra stability, and a wider track width for the same reason. 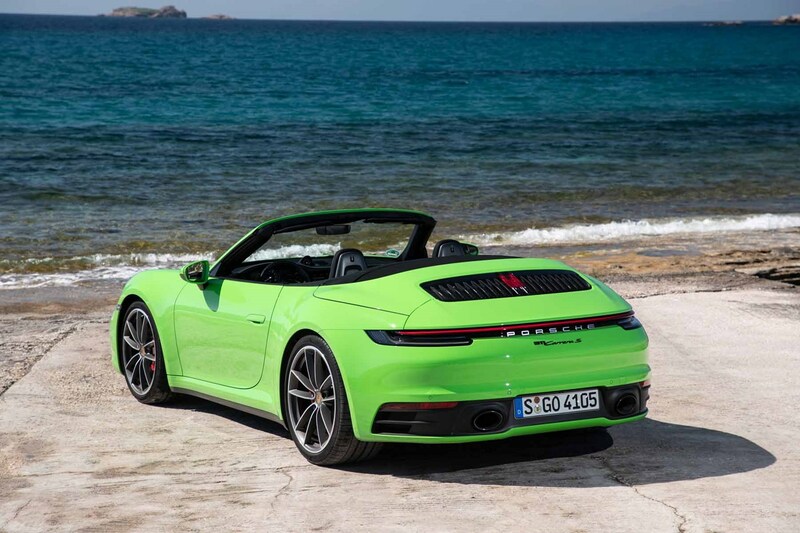 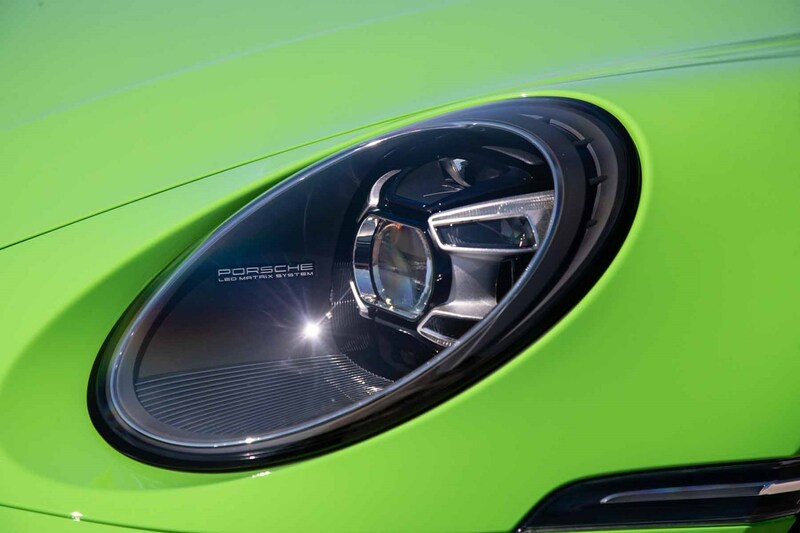 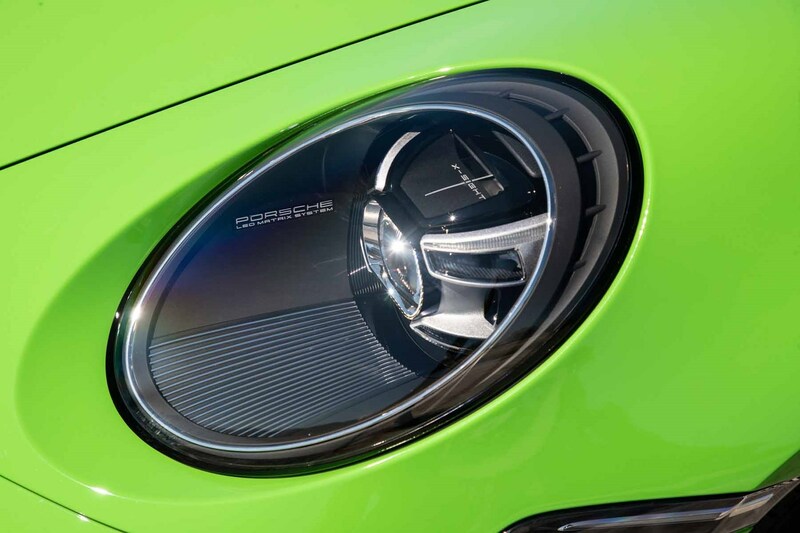 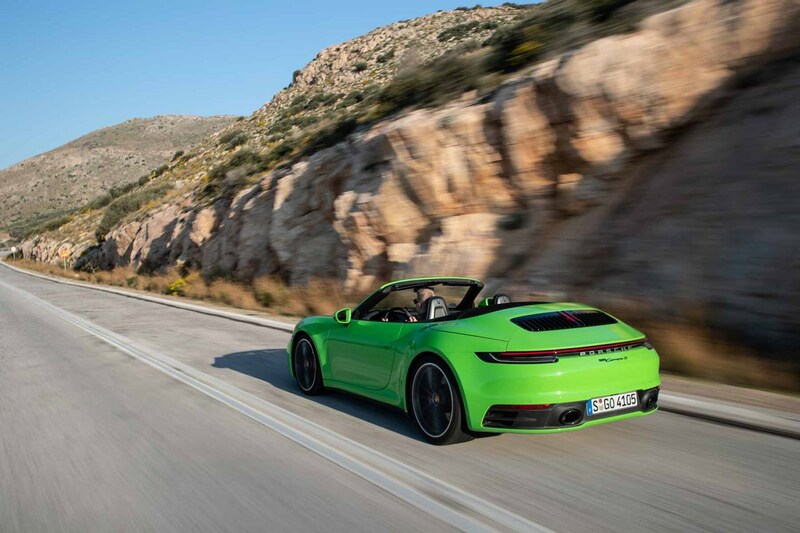 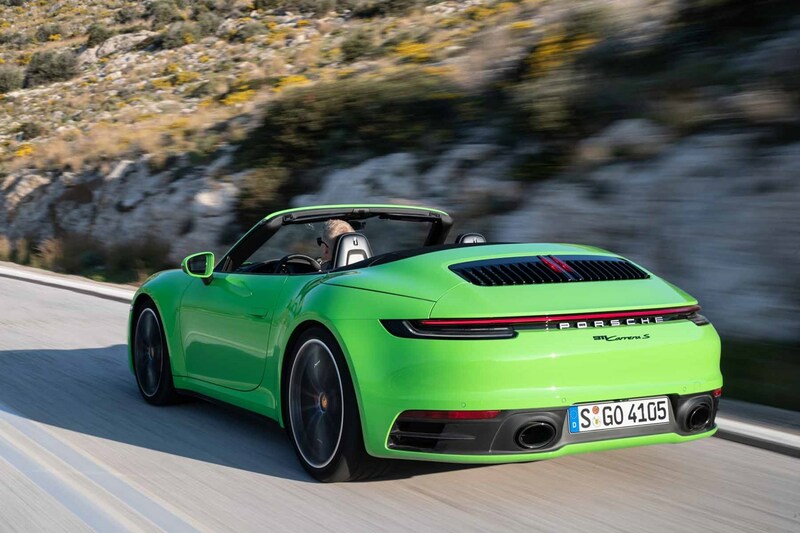 Like the coupe you now get standard LED headlights and Porsche Active Suspension Management (PASM) adaptive dampers, but the Cabriolet also benefits from parking sensors front and rear and a reversing camera too. 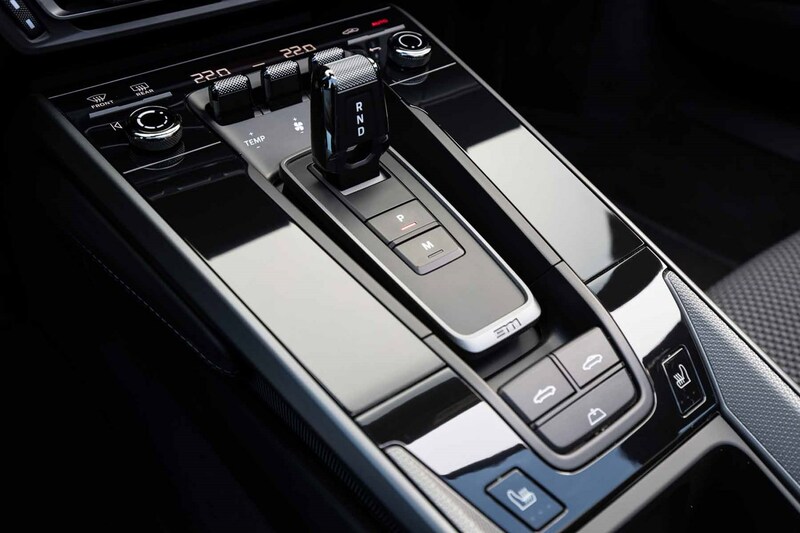 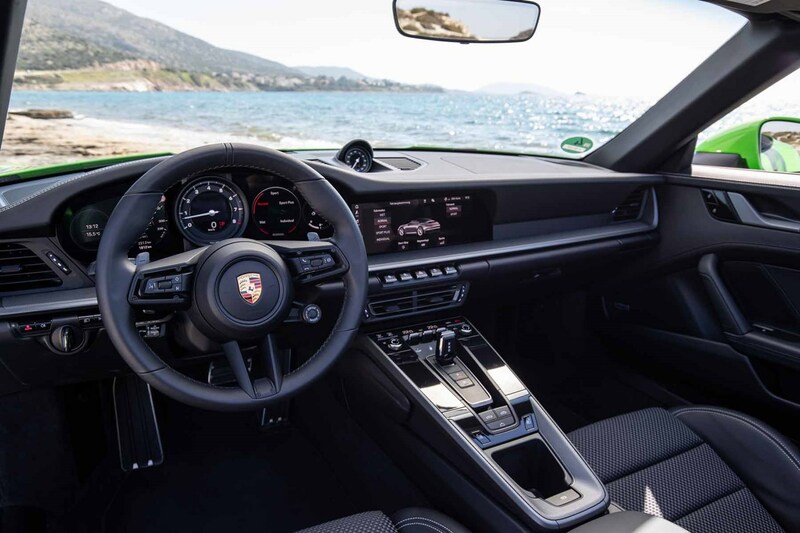 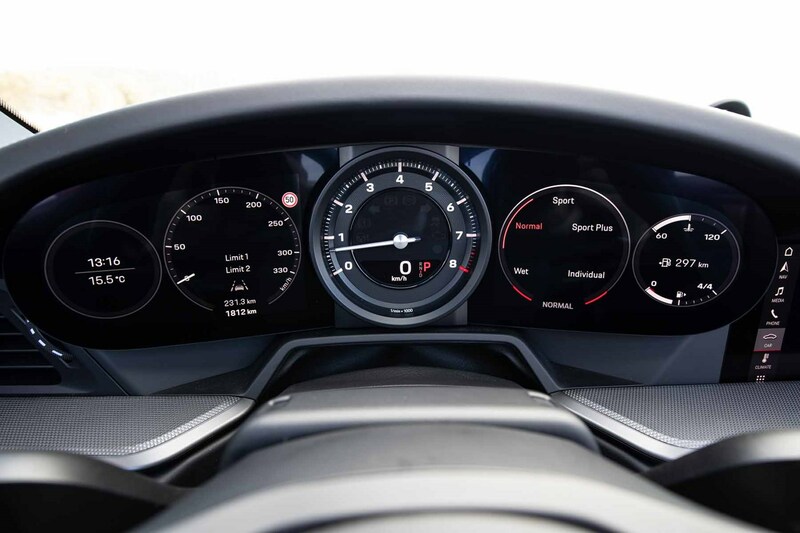 Inside there’s a vastly cleaner-looking cabin with a new 10.9-inch infotainment screen that has been improved for better ease-of-use and a smaller, simpler gear shift lever for the PDK automatic ‘box. 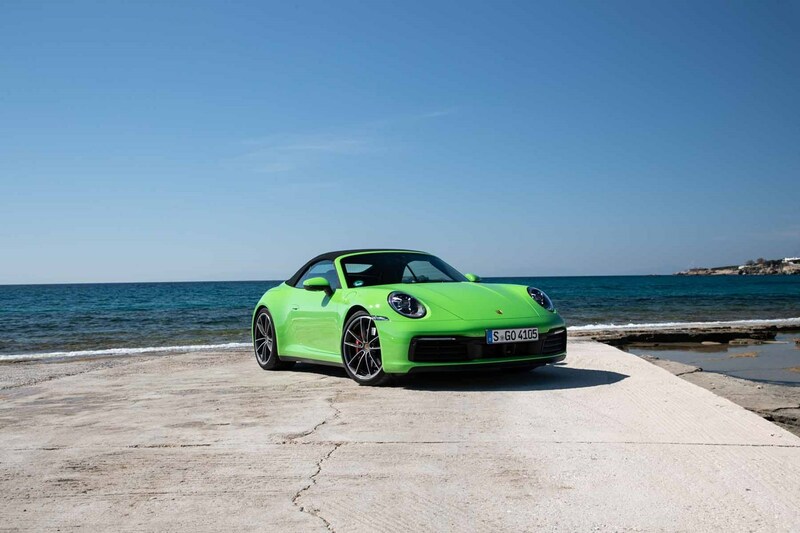 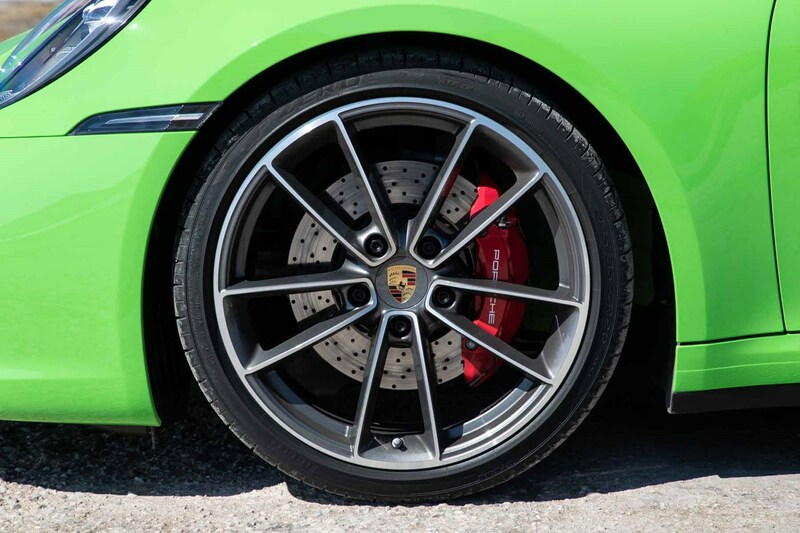 The 911 Cabriolet arrived on the scene in two-wheel drive Carrera S form, plus the option to upgrade to all-wheel drive. 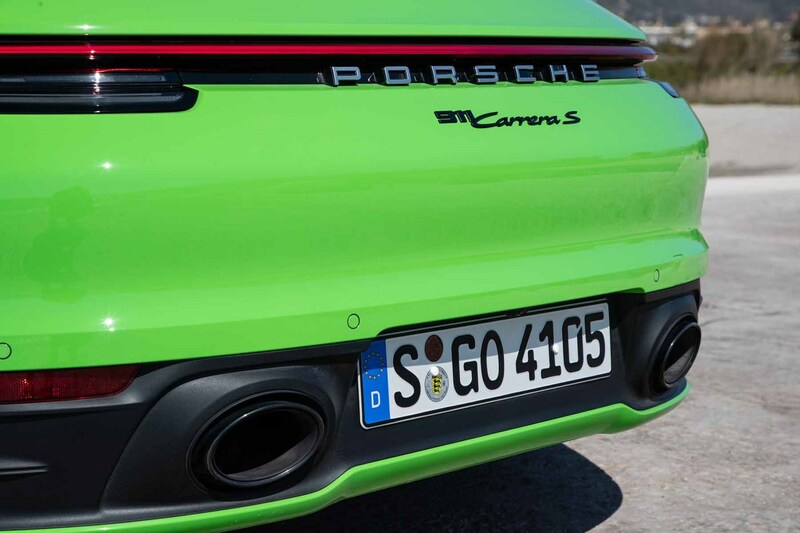 Both cars are powered by a 3.0-litre, six-cylinder ‘boxer’ engine with two turbos to boost performance, resulting in 450hp and 530Nm of torque. 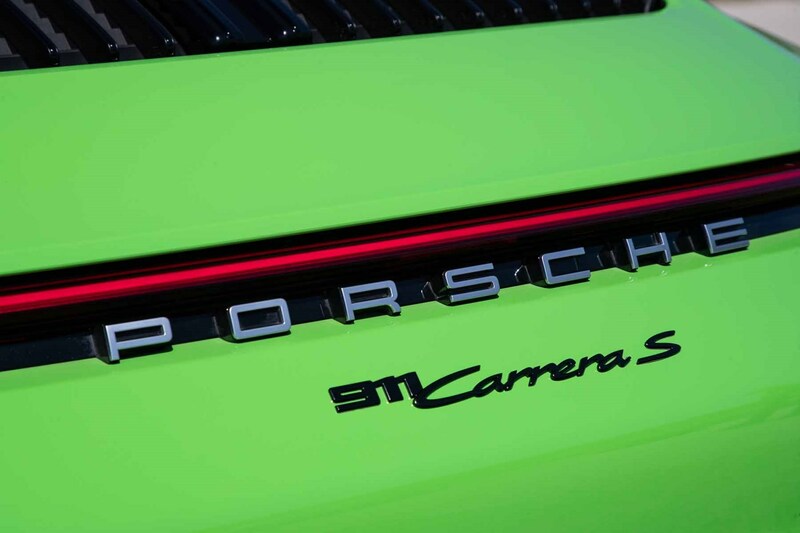 As you’d expect that results in savage acceleration – 0-62mph taking just 3.6 seconds in the fastest variant. 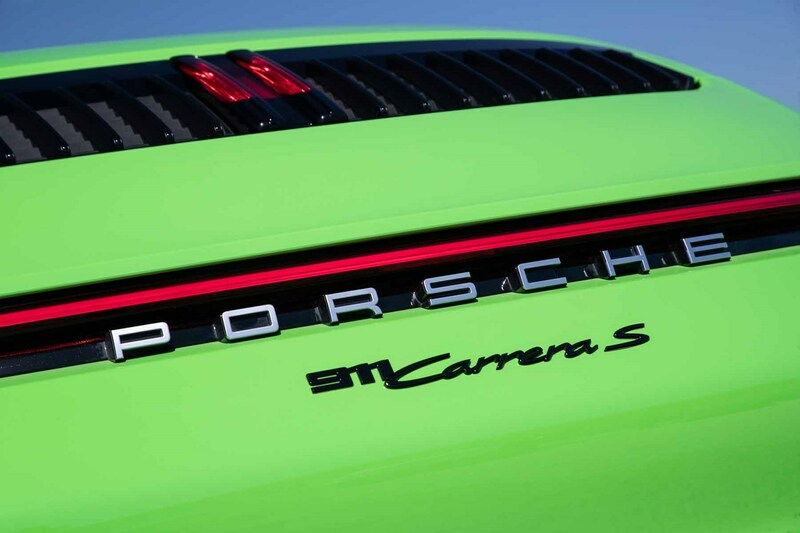 Across the board this car is four tenths quicker than its predecessor, a vast improvement. 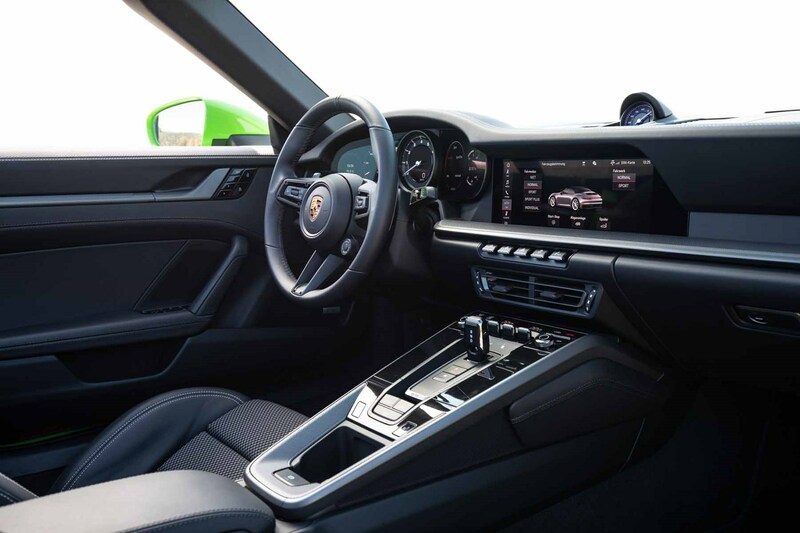 While the chassis is undoubtedly less stiff than the coupe if certainly doesn’t make this fact known to the driver – there are no rattles from steering column or squeaks from the seats or windows as the body flexes. 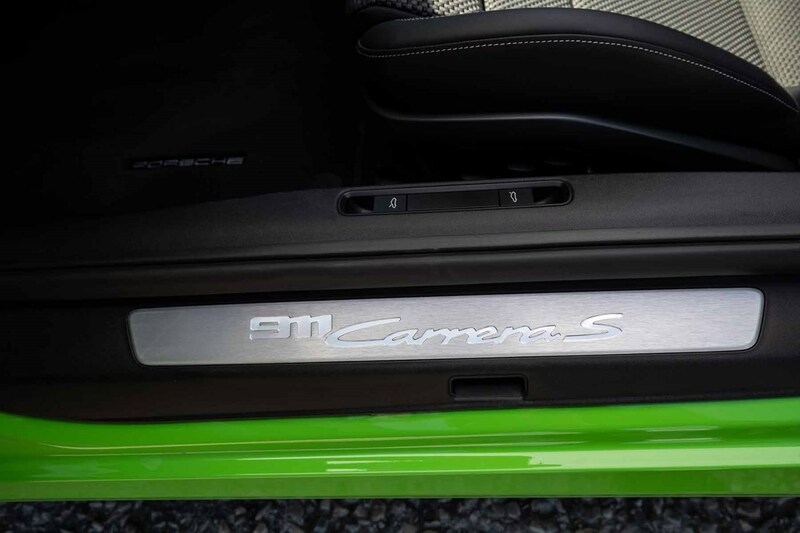 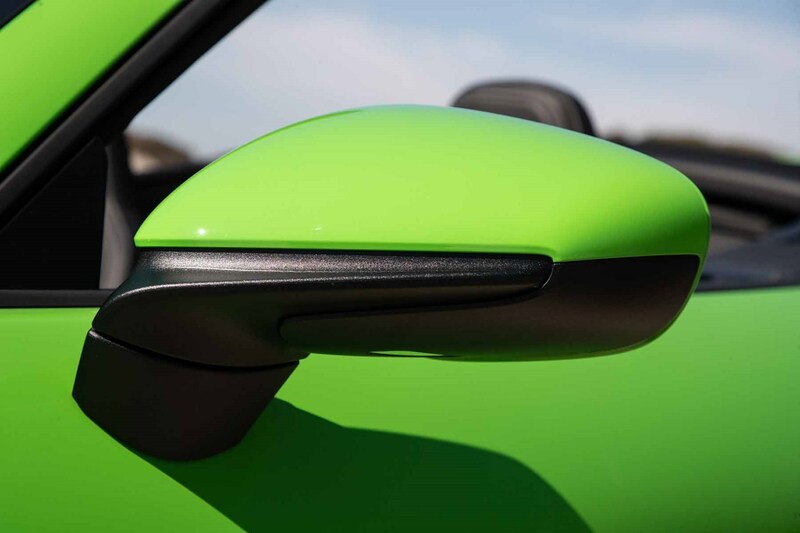 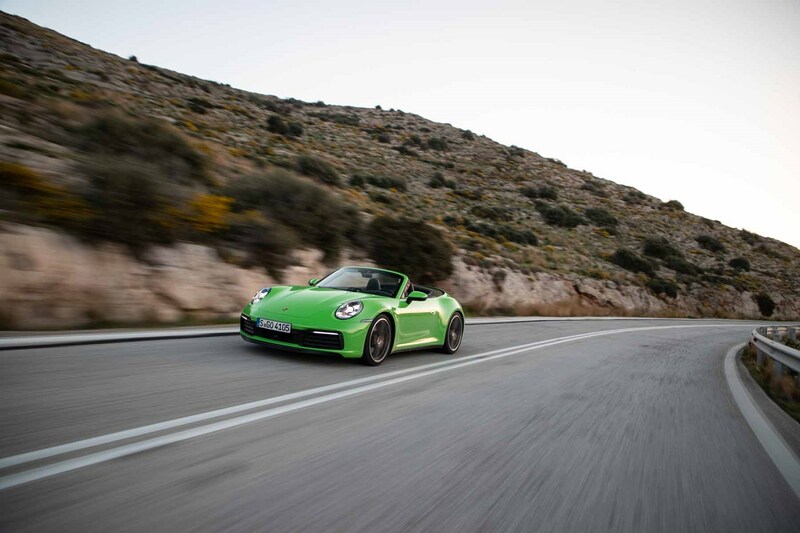 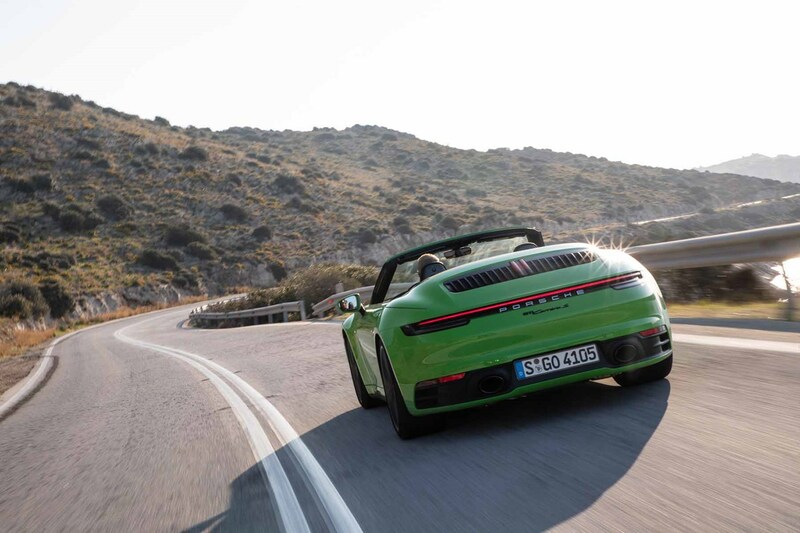 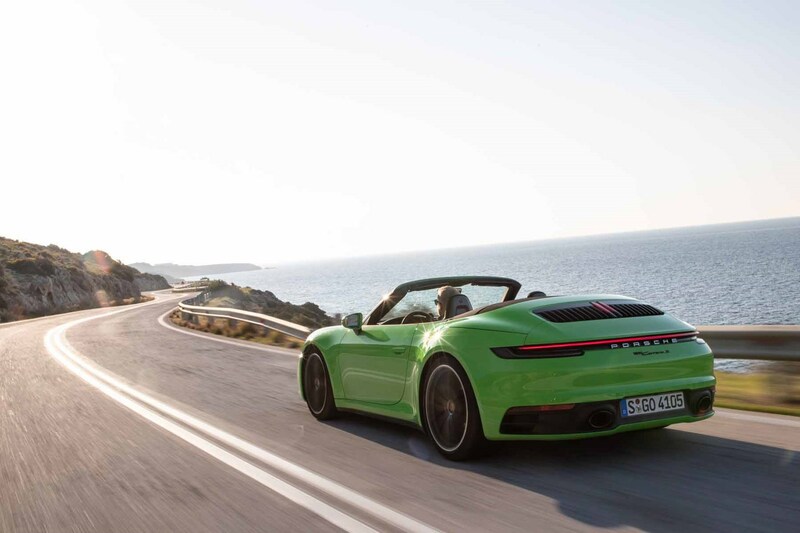 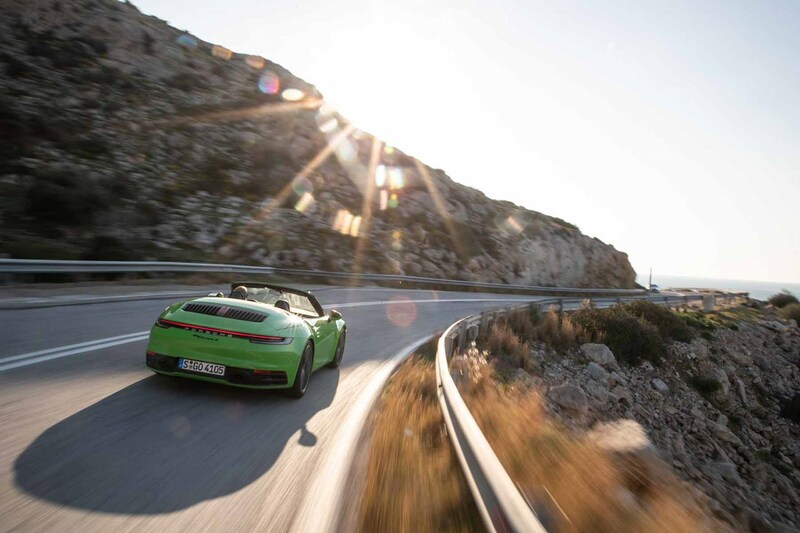 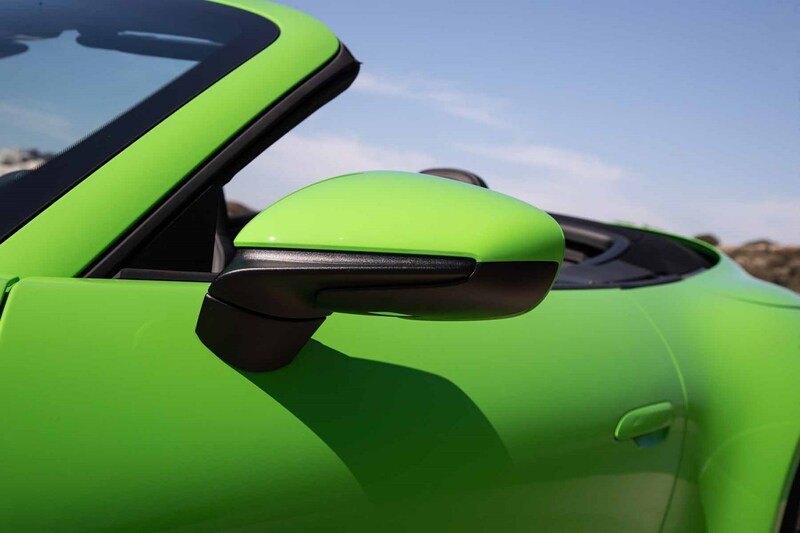 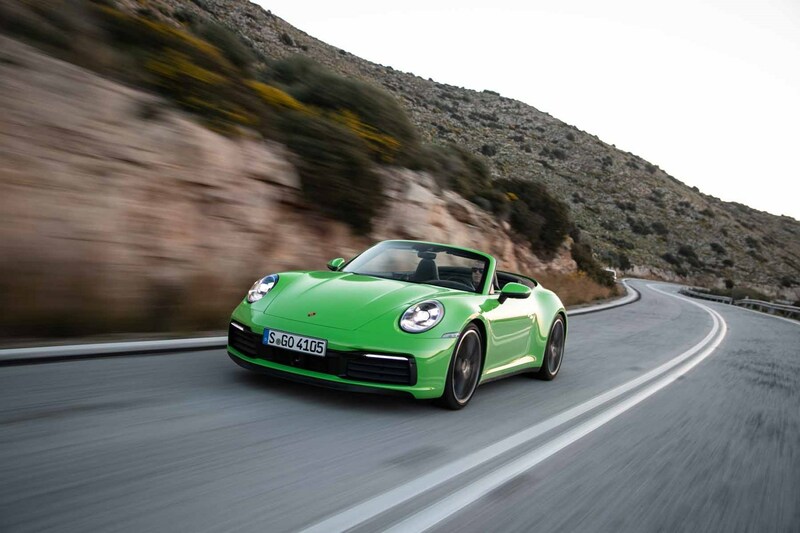 The 911 Cabriolet drives with incredible agility and precision, so you can get into a very satisfying flow on your favourite road, linking corners together with ease. 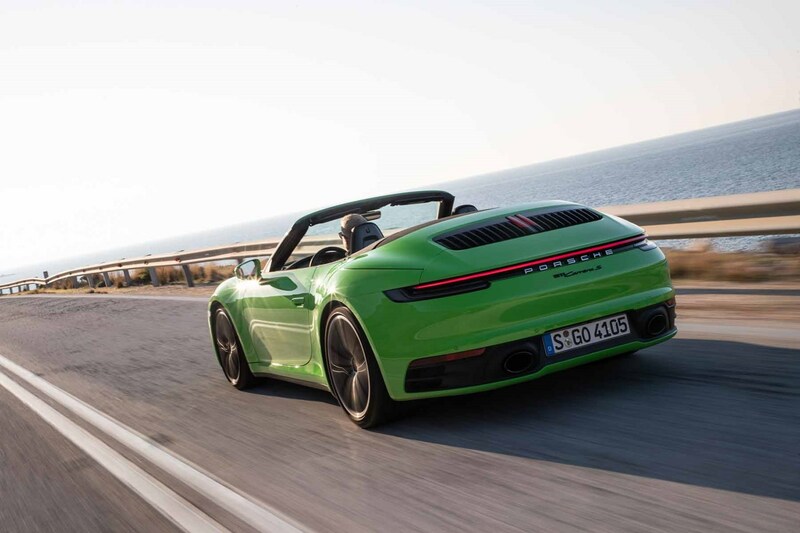 Dialled back a bit though with the soft-top down this car also offers incredibly enjoyable wind-in-your-hair wafting. 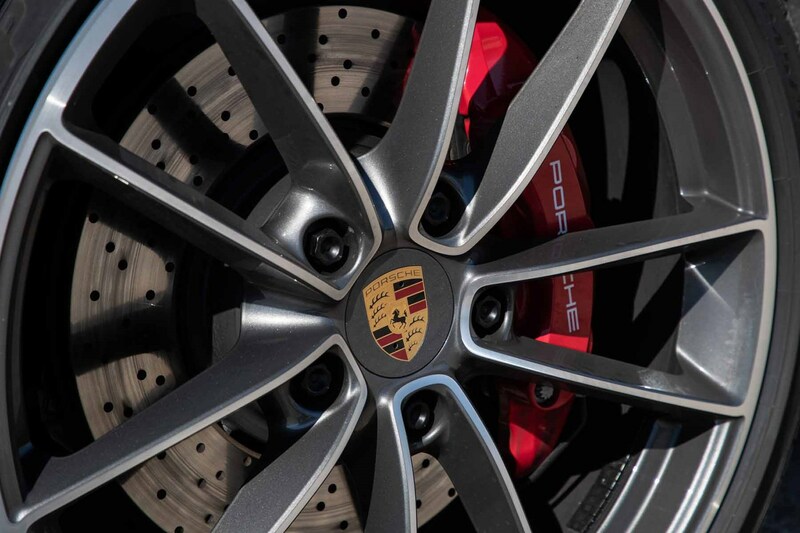 A truly broad spread of talents. 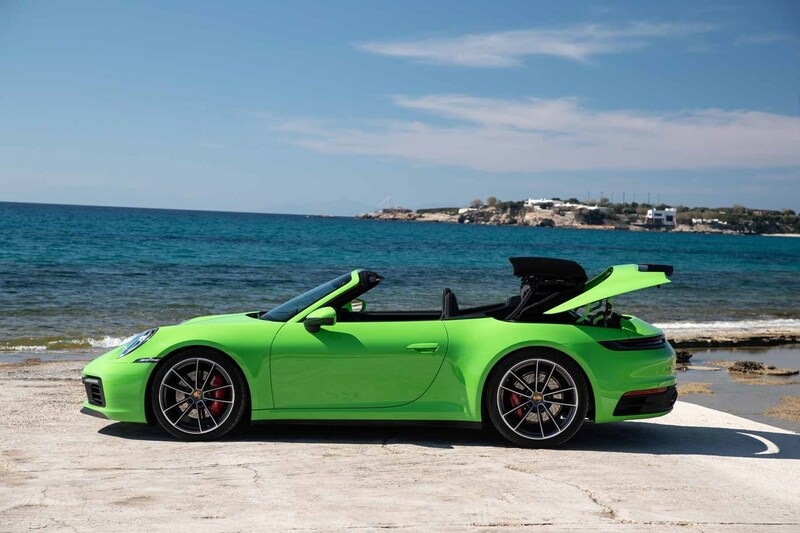 Should you buy a Porsche 911 Cabriolet? 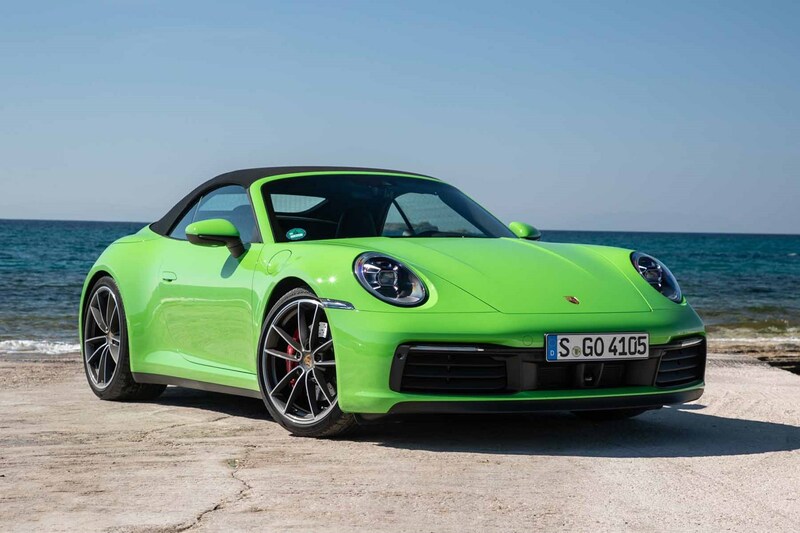 Every third Porsche sold is a Cabriolet – a ratio that is sure to change thanks to this car and the smaller penalty it carries over its Coupe stablemate. 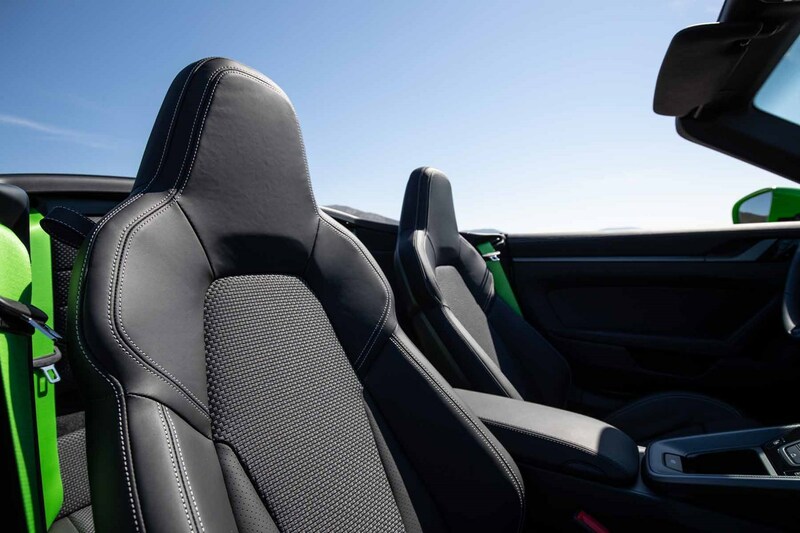 What’s really impressive is the performance and refinement with the roof up. 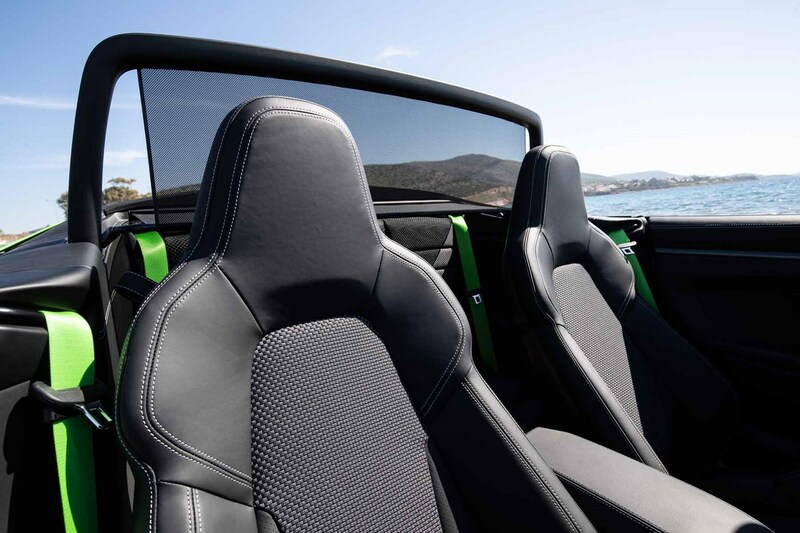 We forgot several times that we were driving an open version and not the hardtop. 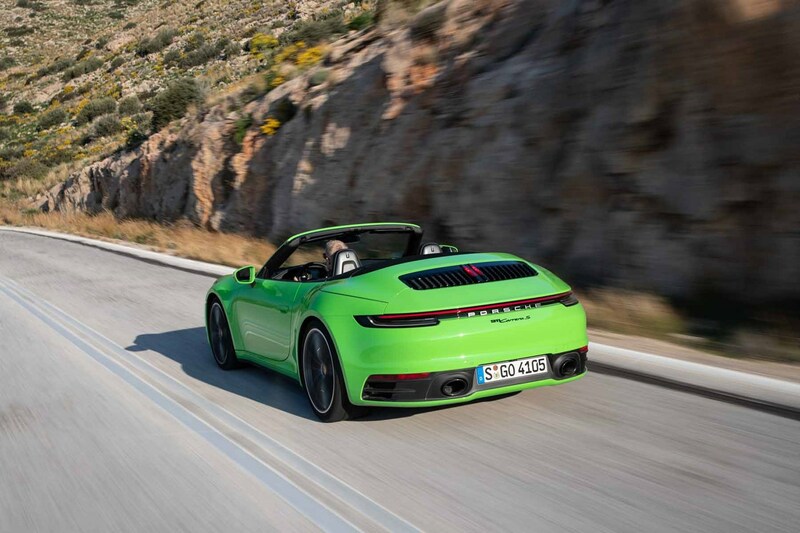 The result is a car that offers much more of a grand tourer character than the Coupe, while retaining the latter’s ability to thrill when given an open road. 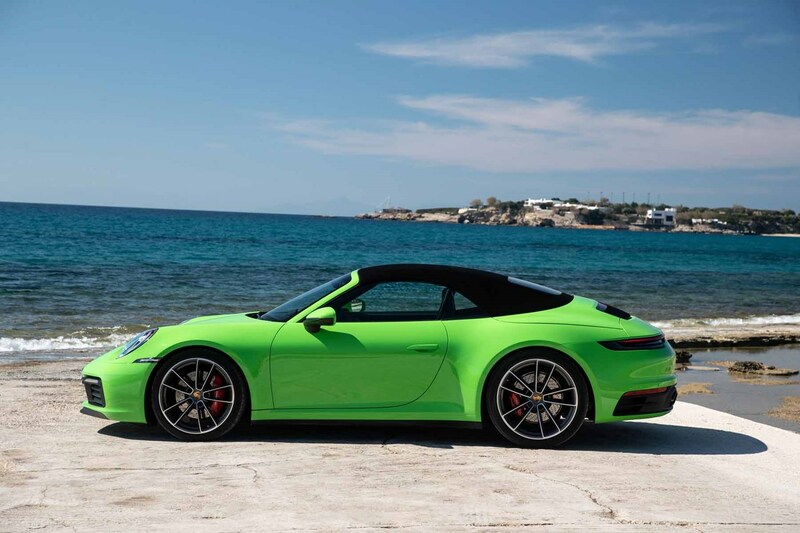 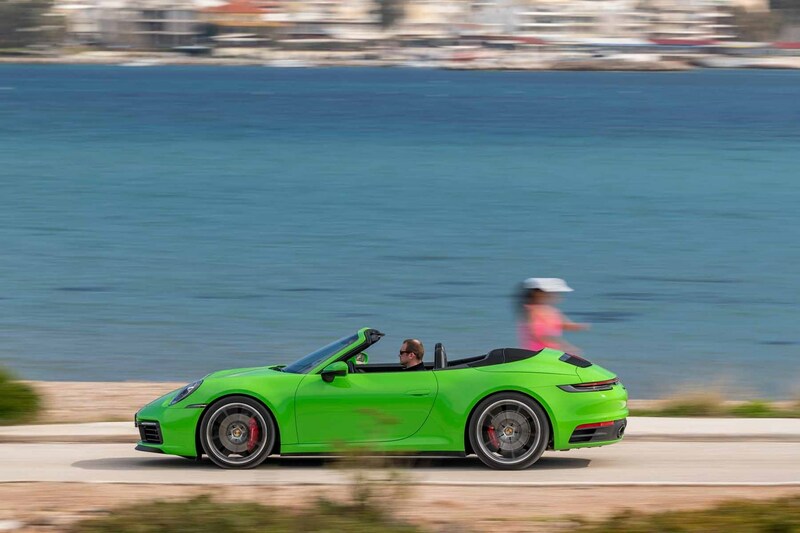 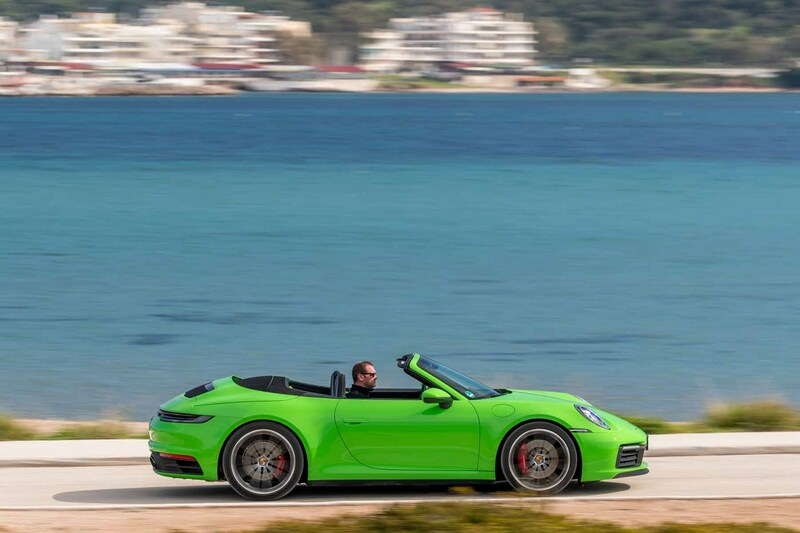 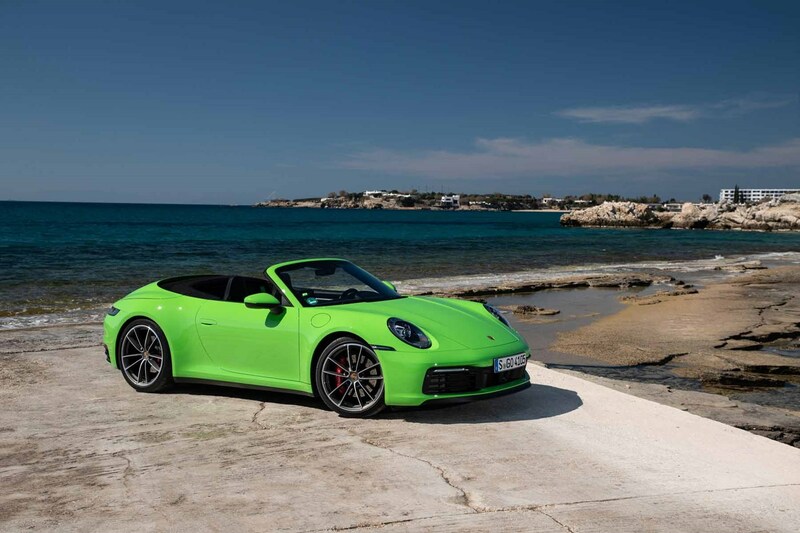 Porsche enthusiasts will ultimately gravitate towards the Coupe for the ultimate in rear-engined performance but as a car that you can use and enjoy every day with the roof up or down, the 911 Cabriolet is a seriously well-rounded choice.